QUEZON CITY, Philippines - March 23, 2018 - PRLog -- In an industry where part of the mainstream audience still yearns for movies that make them feel good with the likelihood of a good ending or what comes close to it, "My Perfect You" disrupts the norm. ABS-CBN Film Productions, Inc.'s (Star Cinema) newest romance–comedy (rom-com) screening outside the Philippines via TFC@theMovies starting this March, breaks through the formula of a strong male lead, a picture-perfect leading lady, and a plot that can bring in the shrills. Instead, "My Perfect You" presents the realities of life and how we, flawed as we are, try to cope the best way we know possible. Director Cathy Garcia–Molina, dubbed the Philippine Queen of Rom-Com, veers away from the usual love story just as she is set to retire from the industry which has hailed her for her blockbuster rom-coms. Instead, she gives the movie audience a broken man, a quirky heroine, and a story that will make the viewers think about dealing with life's ups and downs. Molina, who is also the main writer who co-wrote the story with Kristine Gabriel and Carmi Raymundo, details why "My Perfect You" is not the usual rom-com. "For people who think this is just another regular rom-com, (my answer is) no. There is more to it than just a regular rom-com. This one is something special," she says. 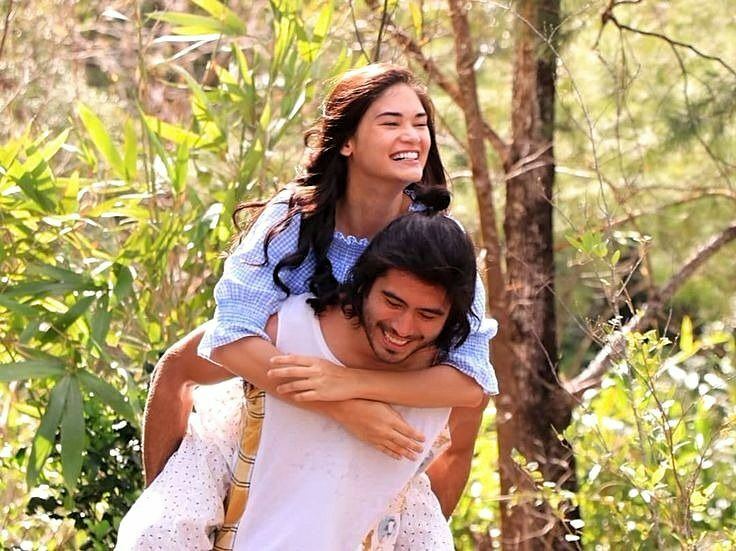 The blockbuster director expounds: "In fact, I told Ge (Anderson) and P (Wurtzbach), this is the only movie which I describe as more than the regular romantic love story. This went beyond. In this movie, we talked about more than just the romantic love." In the movie, while the main lead, the multi-awarded Gerald Anderson is your typical leading man –- good-looking and pumped in real life -- he is in the film, graphics artist Burn who is heartbroken. At the same instance when he proposes to the love of his life what could be a lifetime together, he receives rejection. The avoidance of stereotype is even more evident in the heroine of the story Abi portrayed by 2015 Ms. Universe Pia Wurtbzach. While she has been known more for regaling one of arguably the most famous beauty pageant stages in the world, Wurtzbach sheds it all off to deliver the role of a simple yet overly eager hostel owner–manager–server of Happy Sunshine Camp. As if it were not an indication, the name of the hotel reflects her optimism and how it can be quite infectious. In the movie, Abi's sunny attitude rubs off on Burn even when he feels he is in an endless bottom pit. The movie may slide back a bit into the tested formula as Burn finds himself falling for Abi but viewers will be shaken back to reality with these questions: "Is Abi just a rebound?" "Or has Burn indeed found salvation in love or is he back to the holes of pain again?" According to one of the Philippines' top blog sites lionheartv.net (http://www.lionheartv.net/2018/03/my-perfect-you-movie-re...), the answer is truly something that will grapple audiences: "The pretense is exposed in a seamless fashion that the proceedings leading to the unveil go in a sweeping manner that takes the audience by storm." The review adds: "But it is the intensity and emotional weight of that moment that makes it impossible to be prepared for. And once it hits, those who witness it would surely fall into an awestruck silence." Co-writer Raymundo is proud at how critics have received the film for its uniqueness and all: "From the onset, management saw its potential to tell a unique yet very relatable story especially for those who are seeking a second chance at life and love." Gabriel added: "Star Cinema has always been welcome to new and different kinds of stories. I think it just coincided with the fact that the film was pitched at a time when the issues the story tackles are relevant. It also helps that the material is aligned with the company's values that is why it was approved despite of its unusual structure. It is not a conscious effort to be different or anything else. To do so would be inauthentic storytelling. The revelation happens starting March 23 in U.S., Canada, and Saipan; March 29 in the Middle East, Brunei March 31 and April 1 in Thailand; April 5 in Australia and New Zealand, and soon in other countries. For more updates about the film, visit emea.kapamilya.com, Mytfc.com/MPY, or TFC's Facebook page applicable for your area.